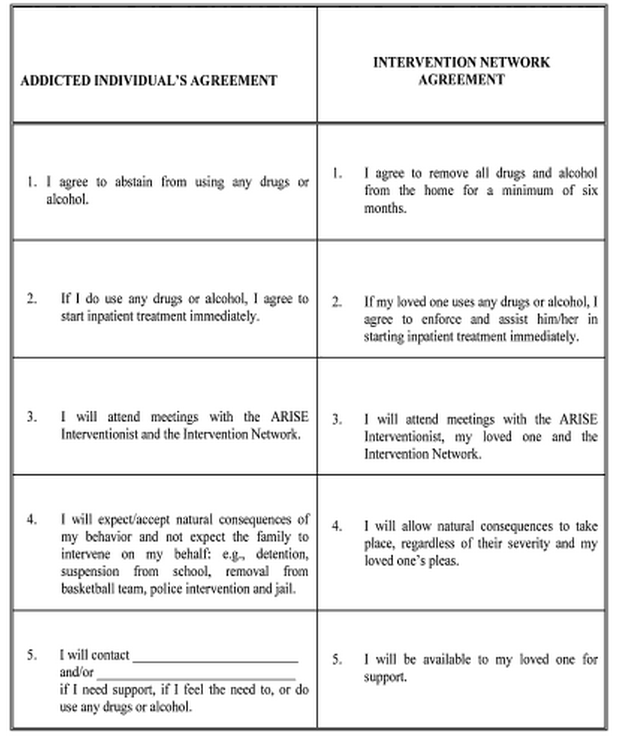 This page in the ARISE book, from 2006, shows the acknowledged options for ‘treatment’ through coercive ‘interventions’, not just for drug and alcohol abuse, but for pretty much everything. Yet, as early as the mid-eighties and early nineties, there was such strong criticism of the 12-step approach, enough so to form alternative organizations and strategies and activist organizations. 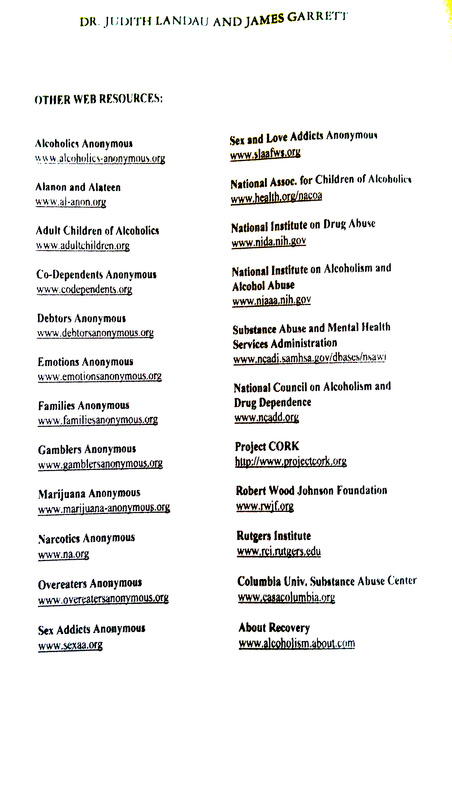 Instead of acknowledging the failure of 12-step coercion initiated by EAPs and similar programs, and exploring this feedback, the 12-step organizations devised new tactics for extortion, information control and fear-mongering, which grew their industry to the $35 billion dollar ‘rehab’ industry that it now is, even though they cannot prove that their ‘treatment’ is any more effective than no treatment at all, while censoring complaints that this kind of ‘treatment’ is even counterproductive, using failures as a reason for more of the same. 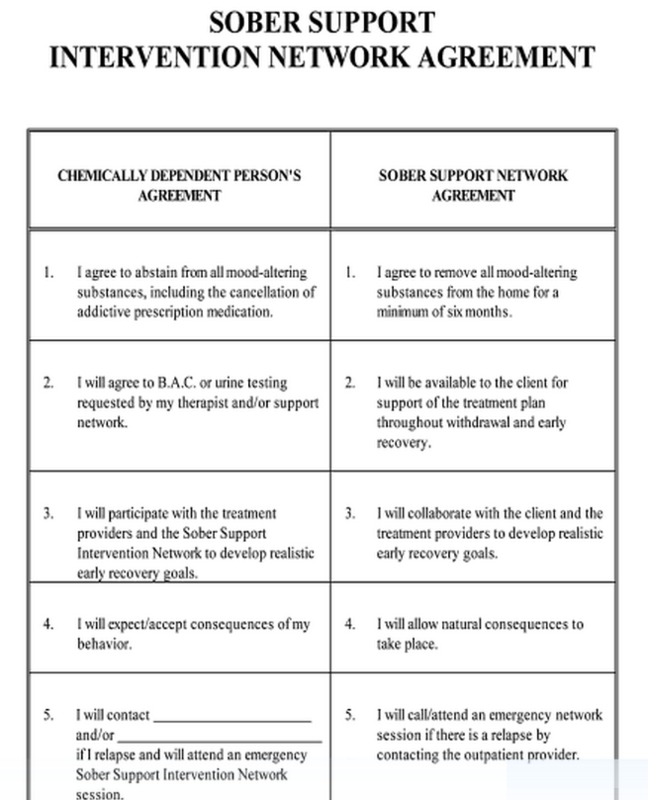 I am also including some of the contracts that coerce people into treatment. The book also contains payment plans for ARISE interventions.